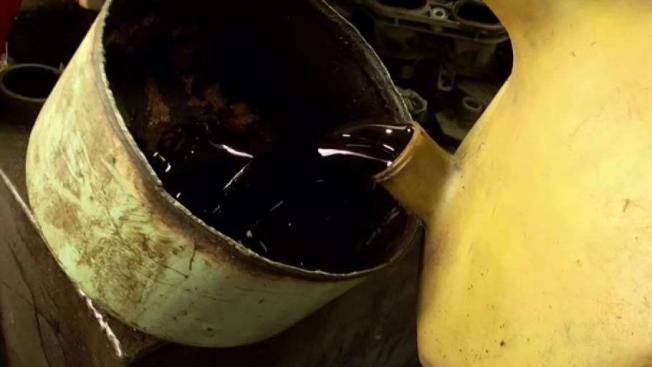 Clean fuel has been stolen by heating oil firms and sold on the black market as dirty sludge from waste oil facilities was then used to make up the difference, according to attorney William Wachtel. Schools, hospitals, apartment buildings, and college campuses among the alleged victims. Wachtel said SUNY-Maritime’s boilers broke down several years ago and had to be replaced when a sludge-filled oil delivery was made. Investigators and insiders said improper blending begins with companies or drivers unloading a portion of clean fuel from their truck. Then dirty oil is mixed in at a waste oil plant. The heating truck then deliveries the mixed or blended fuel to buildings. And city contracts ban use of any blended product, including recycled oil or dirtier waste oil. “Used, waste, recycled, re-refined, sludge or residue of fuel oils is not acceptable” the boilerplate contract language reads. Wachtel said history shows customers continue to pay for an inferior product which can also harm boilers and send waste oil particles into the air. For example, records obtained as part of the lawsuit show that in 2009 and 2010 thousands of past deliveries of what Wachtel calls ‘adulterated oil’ was delivered to buildings in the Bronx and upper Manhattan. Dan Brownell, who heads the city’s Business Integrity Commission, said he can substantiate some of Wachtel’s allegations and that he knows of similar “dirty” deliveries made in 2012 and 2013. Brownell said investigators watched as Jiffy Lube trucks arrived at a waste oil facility to unload waste oil and one hour later, fuel oil trucks arrived to load up at the same waste oil tank. One heating oil truck driver, speaking on condition of anonymity, said improper blending schemes continue by some companies big and small. “This dirty oil that’s being pumped into our buildings can have real health risks for our children -- 113,000 visits to hospitals for asthma and part of it is because we are pumping dirty oil into our buildings," he said. “When we see this alarming trend, there’s probably even more out there. We must be vigilant." Since no companies have been charged criminally for any alleged blending scheme, the I-Team is not naming any of the companies. 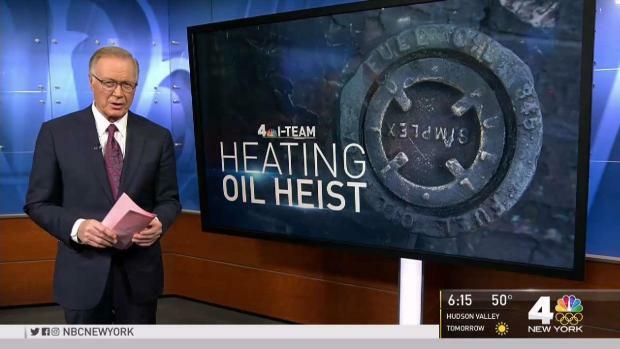 The director of the New York Oil Heating Association said any wrongdoing is limited to a small number of bad actors, adding that many firms properly recycled oils when blending products as allowed by law. A state DEC spokesman said the agency performs random inspections of companies from time to time. But critics have said the city should do more to regulate heating oil firms to weed out corruption similar to steps taken in the once-mafia run carting industry. Law enforcement officials said there are ongoing state and federal criminal investigations into alleged blending schemes as well as other schemes like ‘shorting.’ Shorting is where air is blown for 10-20 percent of a delivery instead of oil but the customer is billed the for the full amount. Videos obtained from law enforcement show trucking firms in 2014 transferring stolen clean oil from one truck to another, oil that is later sold lining the pockets of corrupt actors. The Manhattan DA has said to prosecute blending, it would take “staggering” resources – teams of investigators and auditors. Cy Vance said the city council should empower the Business Integrity Commission to supervise oil truck deliveries. But to date, the bill has stalled amid intense lobbying from oil industry companies and groups.